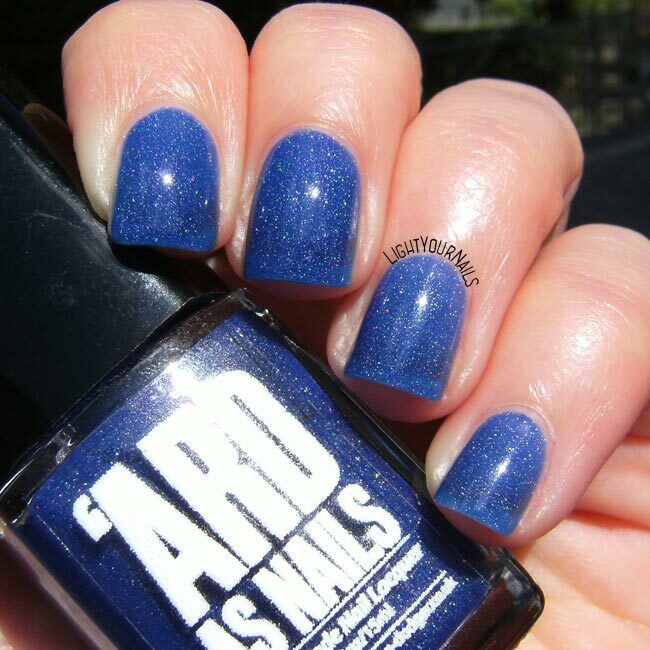 Ard As Nails Bachelors Button | Light Your Nails! I had a long tiring day so I’m gonna be quick. 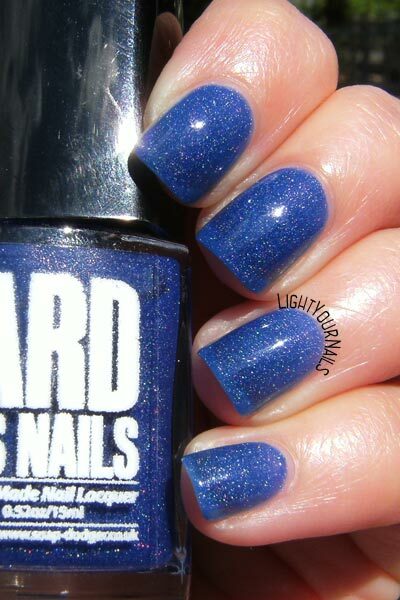 I am showing you a nail polish that comes from UK indie brand ‘Ard As Nails. I follow their Instagram profile and they have some gorgeous nail polishes. I really wished I could get my hands on some of their creations. In the end my friend Dani was so nice to gift me the one I’m showing you today. 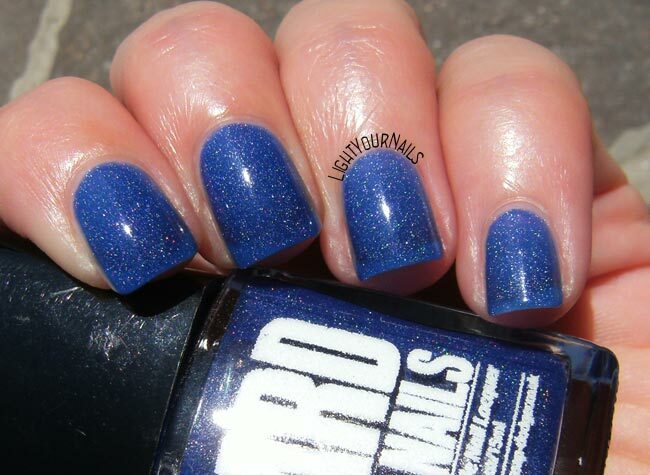 Ard As Nails Bachelor’s Button is a jelly holographic electric blue. Application is very easy and I used no special base coat. Unfortunately it is a very sheer jelly. What you see in my photos is 4 coats (no top coat) and you can notice that obviously visible nail line. I love holo jellies, but opaque in max 3 coats! Four coats and no coverage? Not for me honestly. I love the shade though so I am sure using it again over a blue base. Have you ever heard of 'Ard As Nails? Do you like this shade? didnt Sally Hansen used to have a "Hard as Nails" line? I definitely think so Nichole! I don't own many jelly nail polishes, but I sure like this finish a lot. Looks fantastic on you! Yes, so long! But the colour is beautiful indeed. I love navy and I love jellies - this is wonderful! I don't know this brand, but this is really pretty! Too bad it was so sheer. Such a pretty shade of blue. Great swatches too! I had not heard of this brand! I love the shade, but 4 coats +VNL is not good. But yes, please use it over a blue base! Or do a pond mani! Yes the latter you should definitely do! Ohh I always smudge pond nails but I love them so much! I'll definitely try that next time! You are right!! The colours seems to be quite similar! Honestly the vnl doesn't bother me at all here. This polish is gorgeous and could be utilized in so many ways! LOVE IT! :D Thank you for visiting my blog Maria Carolina!